Got Buzz @ Kurman Communications: Little Goat Bread Opening June 7 at Chicago French Market! Little Goat Bread Opening June 7 at Chicago French Market! 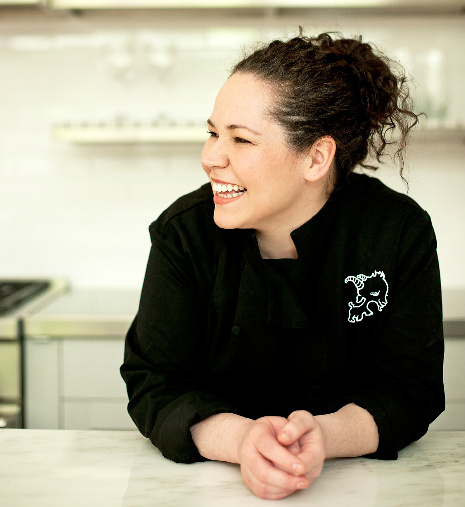 On Friday, June 7, Chef Stephanie Izard will bring Little Goat Bread to the Chicago French Market. This marks the first time Izard is expanding Little Goat Bread beyond the walls of her newly opened West Loop diner Little Goat to serve downtown Chicago. Little Goat Bread in the Chicago French Market will serve breads in the morning, soup and sandwiches for lunch and freshly roasted Stumptown drip coffee throughout the day. Just like the West Loop location, Little Goat Bread will sell loaves of its artisan breads for take home, including baguettes and a sampling of breads available on the menu at Girl & the Goat, Izard’s award-winning restaurant also located in the West Loop. The 22-foot booth will be located between Chef John des Rosiers' Wisma and Food Network Sandwich King-featured Fumare Meats. It will have a similar look and feel to the warm and rustic vibe of Little Goat Bread West Loop location attached to Little Goat Diner. In addition to all ready-to-eat items, Izard have her new product line, “The Flavor, by Stephanie Izard,” available for purchase. This unique blends of sauces and rubs is intended to help busy home cooks bring Stephanie’s “make your whole mouth happy” philosophy to life in their own kitchens, providing an aid to create dishes that are the right balance of savory, sweet, salty and even a little spicy. Three sauces, including The Marinade, The Sauté and The Chee, and two rubs, Rub 1 and Rub 2, will be available at the Chicago French Market. Chicago French Market is the first and only year-round, indoor marketplace that provides access to local artisans and purveyors. Each retailer located in the market offers fresh selections for cooking at home, dining on premise or taking food to go. With the addition of Little Goat Bread, the market now features 31 unique individual vendors. Stephanie Izard, James Beard “Best Chef Great Lakes” and a 2011 Food & Wine “Best New Chef,” is the Executive Chef/Partner of two Chicago restaurants, Girl & the Goat and Little Goat. A 2011 James Beard “Best New Restaurant” nominee, Girl & the Goat has been praised by many high-profile publications. Izard is a graduate of the University of Michigan and the Scottsdale Culinary Institute and has worked in some of the most respected kitchens in Chicago including La Tache, Spring and Vong. She previously owned the highly-acclaimed restaurant Scylla, which she sold just prior to appearing on and winning season four of Bravo’s “Top Chef.” Izard’s first book, “Girl in the Kitchen,” was released in the fall of 2011 (Chronicle). Izard also has a newly launched product line called "The Flavor, By Stephanie Izard," consisting of sauces and rubs.